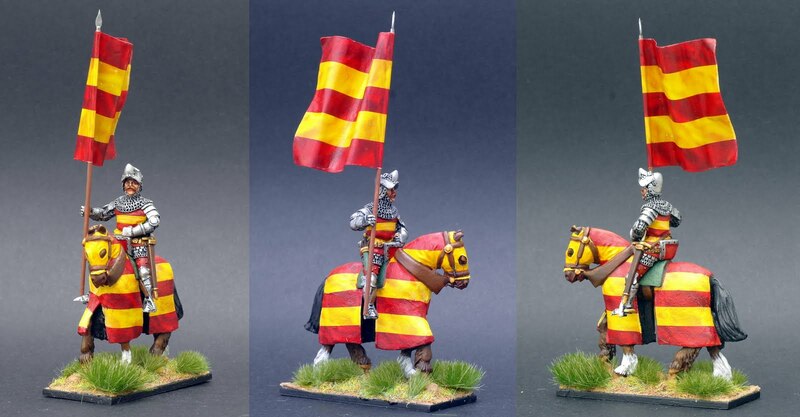 This week sees the incredible new 28mm medieval waterslide transfer kits for Kingmaker's superb 28mm wargame 15th Century medieval Knights. 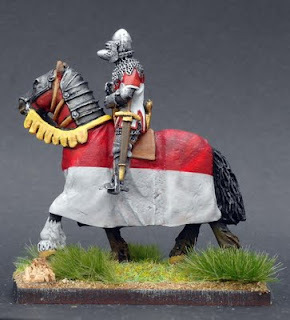 The new 28mm medieval transfer kits are designed to take all the hard work out of painting and collecting a beautiful medieval wargame army. 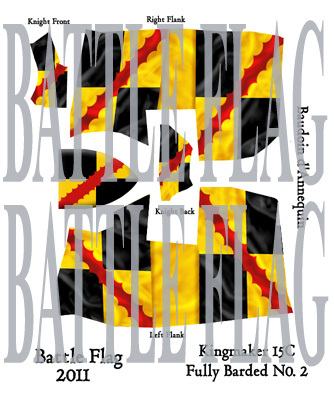 Using battle Flags new genuine waterslide paper the wargamer and collector can now cover a complete 28mm horse barding simply and easily. Just cut out the design from the sheet, soak in water for 30 seconds and then apply to the model as you would any quality waterslide decal. No stiff plastic film to peel away means that unlike other makes of transfer, Battle Flags decals will follow the shape of the model. 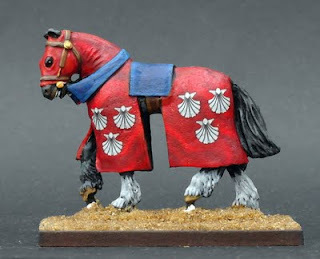 No more need to worry about painting complicated heraldry basically undercoat the figure white and apply the transfer. The work is done for you and it’s all fully shaded and highlighted giving a real effect of movement. 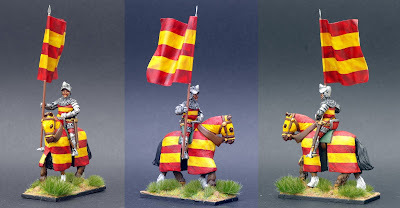 Battle Flag in conjunction with Kingmaker miniatures are very pleased to be able to offer the wargaming and model soldier communities the ability to create superb, historically accurate, 28mm miniature medieval knights cleanly and easily. 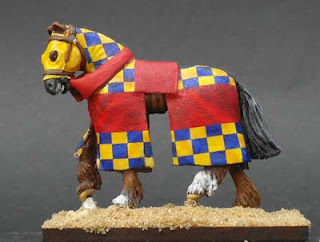 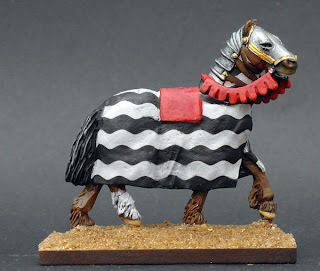 The Above Kingmaker 28mm medieval horses are fully barded with the all new waterslide transfer kits from Battle Flag. 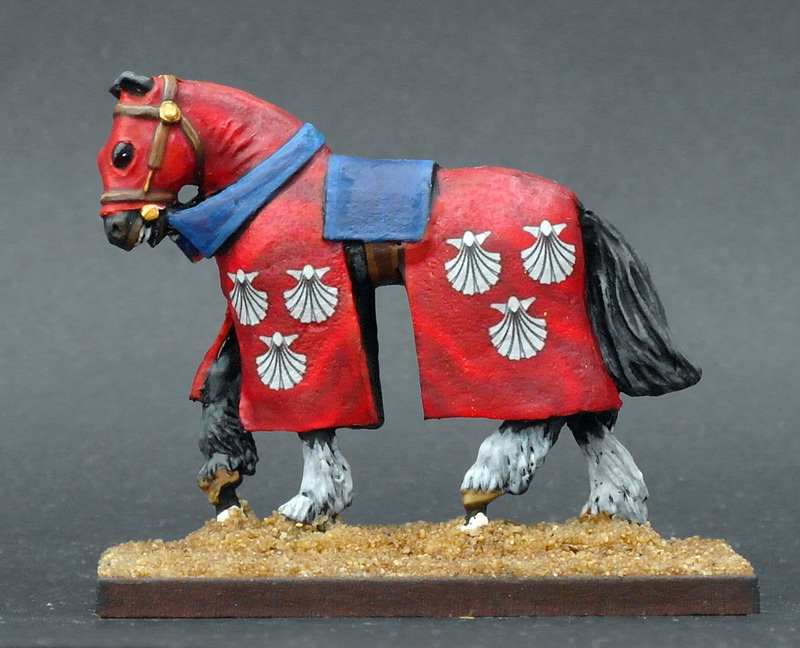 Click Here to view the Kingmaker range of 15th Century miniatures. 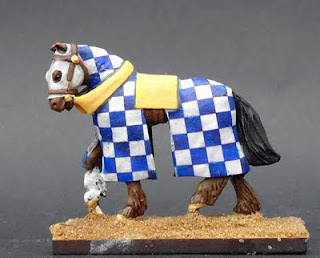 Certainly by all means please do post them on the RTA forum.